Augusta Health now offers vascular screening for peripheral artery disease, abdominal aortic aneurysm and stroke (carotid artery ultrasound). All screenings are performed by a registered Vascular Technologist under the supervision of a physician. The screenings in the Vascular Screening Program are not diagnostic exams and are only intended to detect the presence or absence of vascular disease. Although they are not covered by most traditional health insurances, they are relatively affordable and Flexible Spending Accounts can usually be used to reimburse the fee. Fees are $40 each for the three screenings offered: PAD Screening, AAA Screening and Stroke Screening. All three screenings are available for $100. 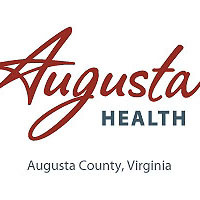 For information or to schedule a screening, please call Augusta Health Cardiovascular Services at 540.332.4127 or 540.932.4127. “Vascular disease is responsible for heart attacks, the majority of strokes and serious leg complications, such as amputations—but most vascular disease can be prevented or limited by healthy lifestyle changes,” says Mark Masonheimer, Director of Cardiovascular Services at Augusta Health. Those who are screened are encouraged to discuss the results with their primary care physician. Primary care physicians can help make the appropriate decisions necessary to prevent progression of vascular disease.